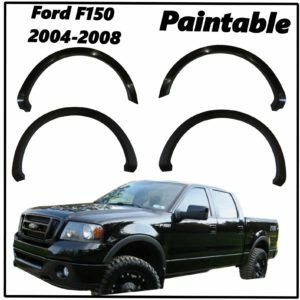 Extremely Durable & Flexible OEM-style ABS plastic. Made to Withstand any Terrain. 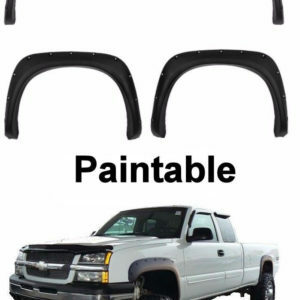 Made from the Highest Quality 100% UV-Protected OEM-style ABS plastic. 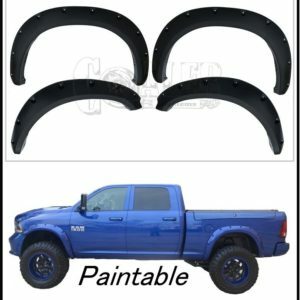 Give your Vehicle a Premium look with a Smooth Black Matte finish for a sport like style / blackout look. 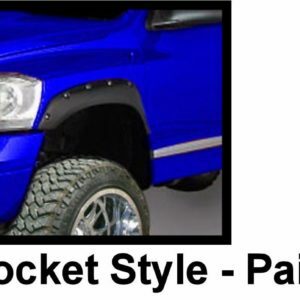 Digitally Designed to Fit your Truck. Uniquely Manufactured to Withstand Any Terrain; Won't Crack or Warp. Cover up rust or other body damage. 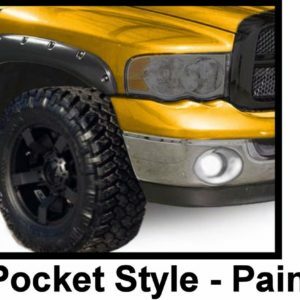 Can be Easily Painted to Match any Vehicle Color. Protects against any and all debris. Simple and quick installation that can be done in your garage with self-tapping screws and double-sided adhesive. Utilizes the stock mounting holes - no drilling or modification required.